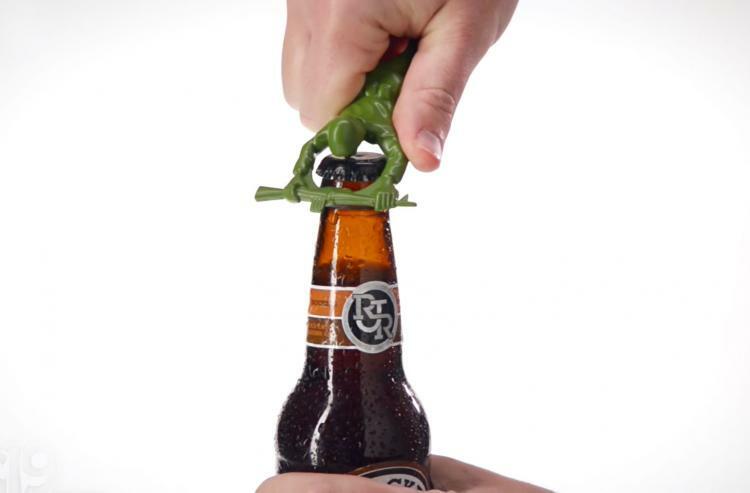 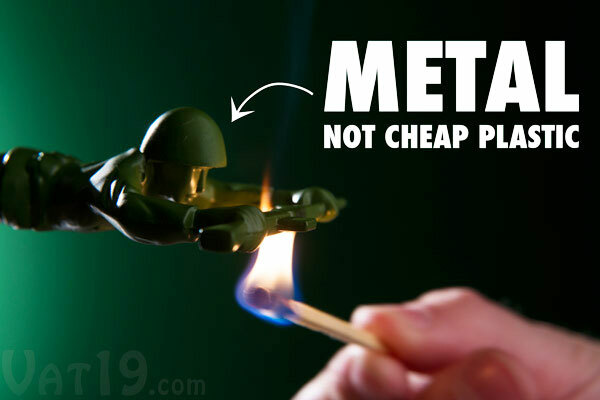 The army man bottle opener is a bottle opener shaped like a little green army man toy, except instead of being made using plastic, this one is made from metal. 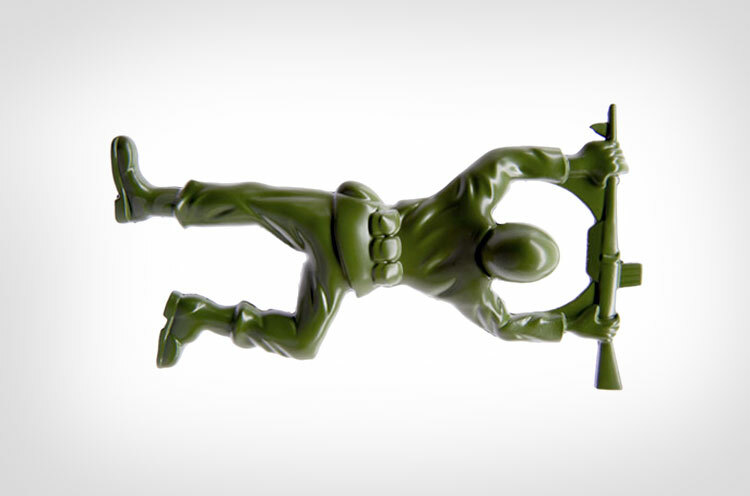 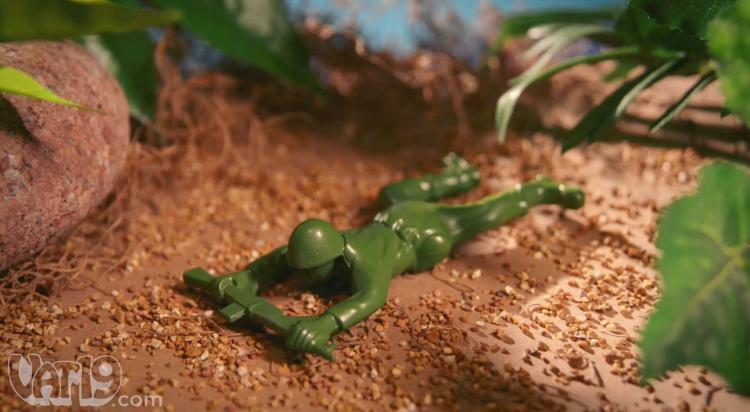 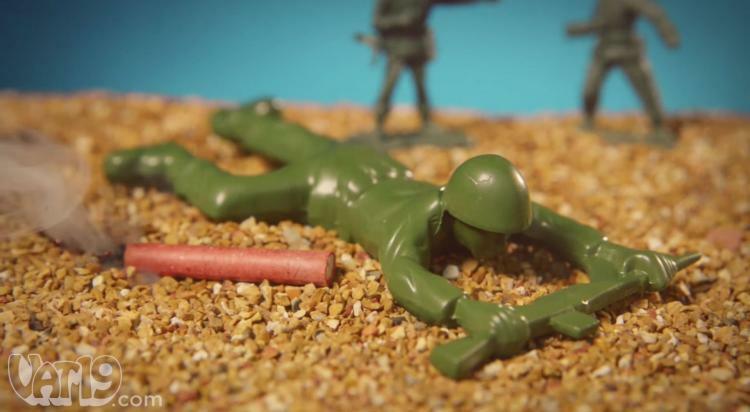 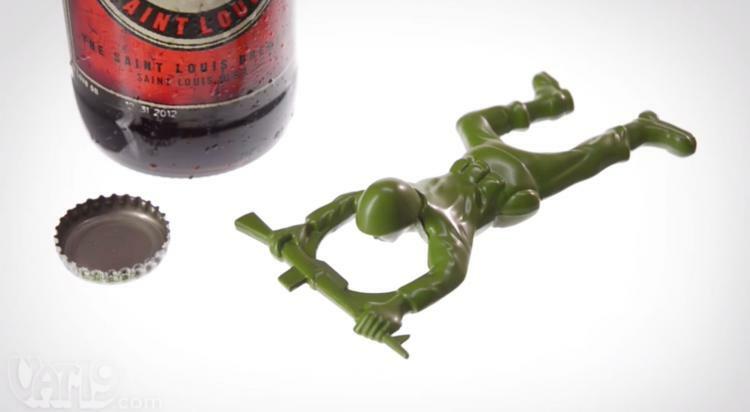 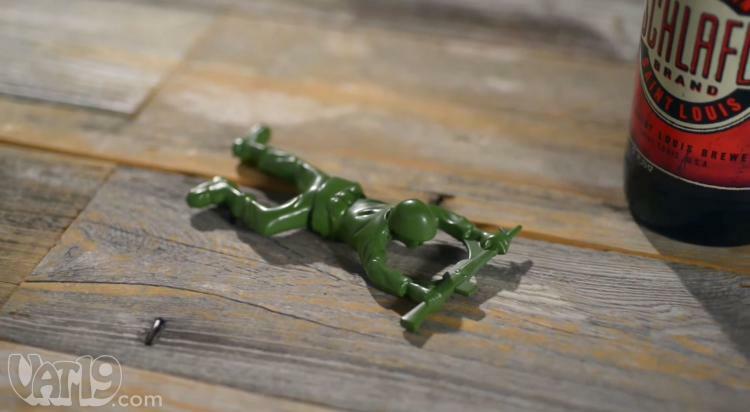 Made into the pose of doing an army crawl, the army man bottle opener will make an excellent gift idea for someone who has served or still is serving in the armed forces, assuming they enjoy cracking open a cold one. 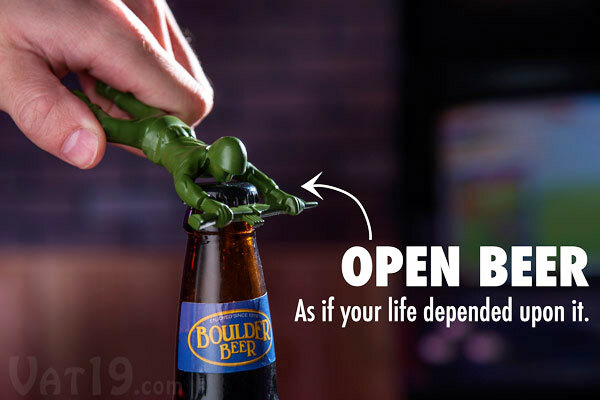 No longer will your child have to play with his green army men alone while building his personal army of minions willing to do thy bidding, just whip out your own green army man and play with your child while getting a little boozed up so that it's not such an unpleasant experience as it usually is. 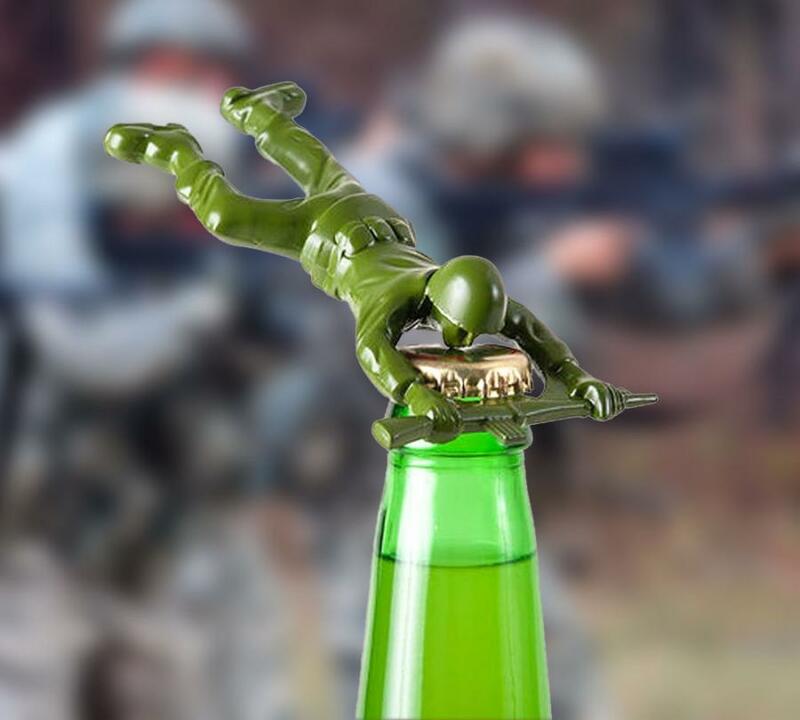 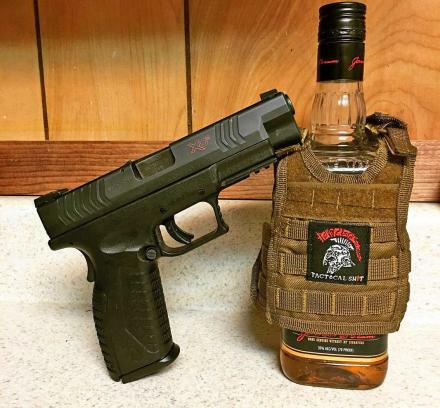 The green army man bottle opener is made from genuine die-cast metal, can be used with his back facing up to open a bottle using his gun, or with his stomach facing up to open the bottle with his helmet, and measures 4.75 inches long x 2.5 inches wide x 1 inch deep. 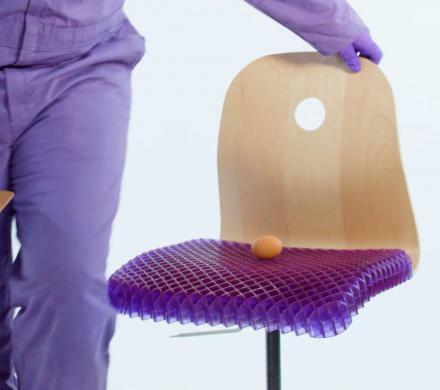 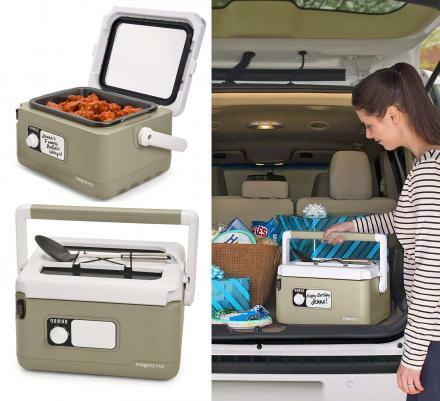 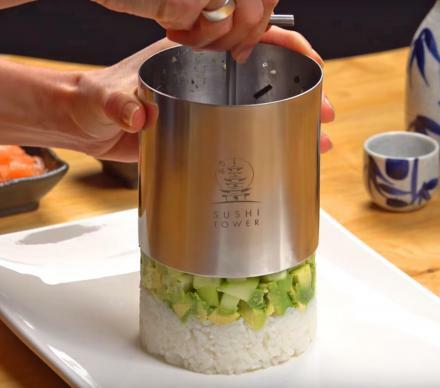 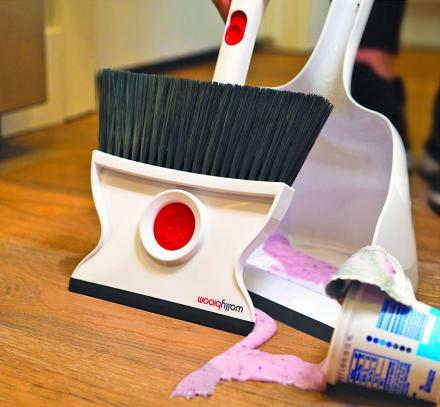 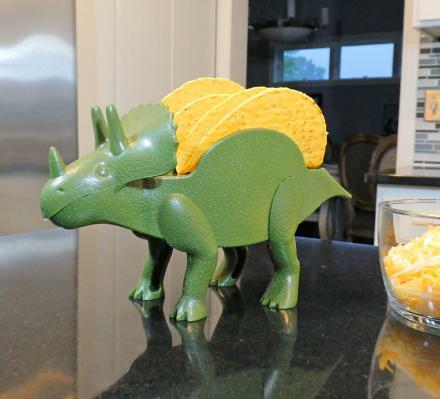 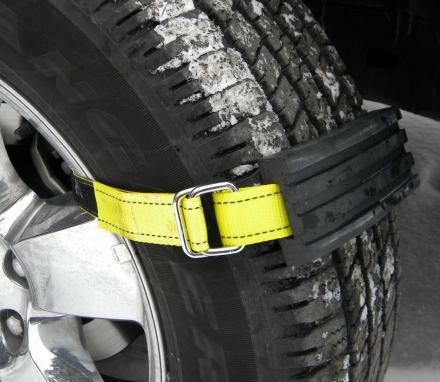 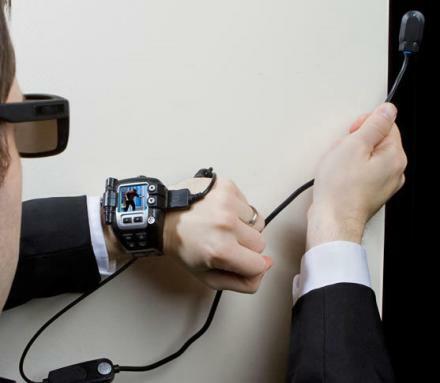 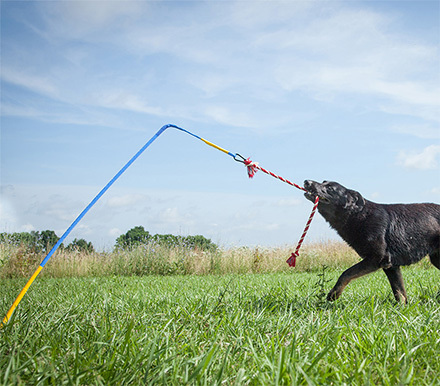 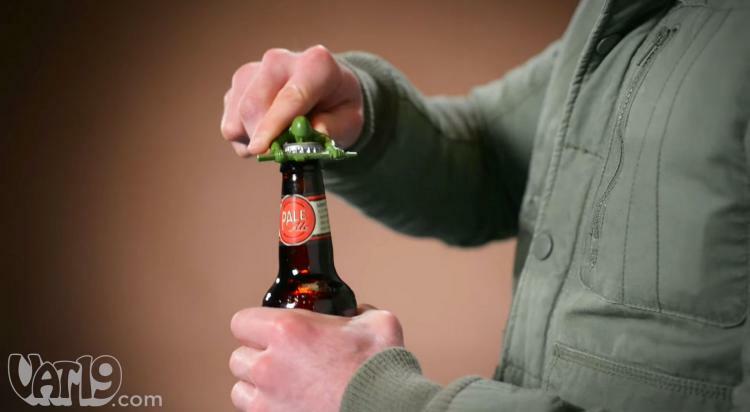 Check out the bottle opener in action via the video below.